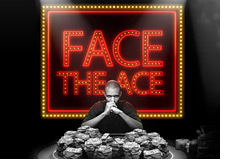 1.46 Million Viewers Tune in to Watch "Face the Ace"
According to a recently released report on "TV by the Numbers" (link below), "Face the Ace" is a "ratings disgrace". "Face the Ace" is a "poker-themed reality television series" on NBC in which amateur poker players do battle against pros. Players gain entry to the show by winning qualifying tournaments on Full Tilt Poker. Once they have qualified for the show, they then have a chance at winning one million dollars, but only if they win three straight heads-up matches against some of the top pros in the world. 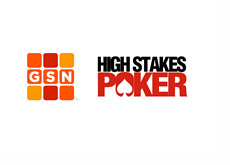 The show is hosted by Steve Schirripa and is produced by the company behind "Poker After Dark" and "High Stakes Poker". The show's pilot episode debuted to tepid ratings last week and was the least-viewed show in its time slot (of the four major TV networks). 1.59 million viewers tuned in for the first half hour of the show. This number dropped to 1.54 million viewers in the second half hour - clearly people weren't enthralled by what they were watching. Unfortunately the numbers weren't any better this week - actually, they were worse. Just 1.46 million viewers tuned in this week, meaning that "Face the Ace" was once again the least-watched show in its slot amongst the four major networks. According to "TV by the Numbers", "America's Most Wanted" performed "almost six times better" than "Face the Ace" in the adult 18-49 demographic. I'm not exactly sure what the network was anticipating in terms of total viewer numbers, however 1.46 million viewers doesn't seem like a very strong number.